Last time I travelled to Mexico was close to 6 years ago with three of my dearest girlfriends after enduring a long Winter in Canada. 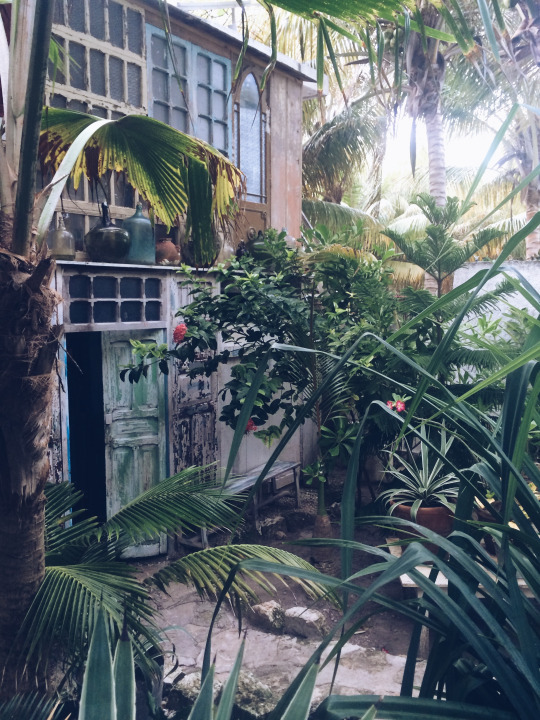 We backpacked (or rather wheeled our large suitcases full of Winter clothes) down the Yucatan coast of Mexico and I fell in love with the food, people, culture, colourful streets and Caribbean sea. I knew then I had to go back one day. So I booked a trip to go by myself down to Mexico and Belize to adventure, explore, eat the local food, go sailing, snorkelling and look for new inspiration. OK, maybe I could have chosen a couple of countries that were considered a little safer to go travelling by yourself, but hey since when did I ever let fear get the better of me. Sorry Mum. I had the worst travel jitters the night before I had to leave NYC for Mexico. I thought what on earth am I doing? What if I get kidnapped? They better feed me amazing tacos at least. My plane set down in Cancun bouncing so hard off the runway it felt like the plane was going to snap. I’ve never heard a plane of people cheer and applaud so loudly with relief when we reached a halt that I knew then this trip was off to a great start. Bypassing Cancun I made my way straight down to Tulum where I was staying in a little mud brick thatched roof hut literally on the beachfront in the jungle. No TV, minimal electricity, only fly screens as windows and a cold salt water shower. BUT a 5-star hammock out the front and a mosquito net. I was also told to wear shoes at night time walking through the pathways to avoid stepping on scorpions. I had a few days here by myself before an old friend would be meeting up with me for a couple of nights (My friend Katie who visited one night asked if there were snakes, no, no snakes, I did forget to mention the scorpions, but she did have shoes on after all, sorry Katie). I hired a bike and spent my days cruising around the streets looking for street art, exploring Mayan ruins, downtown urban areas and gardens, snorkelling the cenotes, observing washed up coral and specimens on the beach and stalked the beach at night time for the large marine turtles migrating on shore to lay their eggs. Oh, did I mention the amazing margaritas? Tulum is definitely a magical place. But sadly it had already changed so much since I had been there 6 years ago, I didn’t even recognise half of it any more. Now is the time to go before it changes even more. My next destination was Caye Caulker, a little tiny island off the coast of Belize. So on the bus I hopped and travelled down the coast to Chetumal in Mexico where I’d catch a boat over to San Pedro and then on to Caye Caulker. It was a long journey and I was lucky to meet two awesome Irish girls along the way who became my little buddies for a couple of days. When we arrived it was jaw dropping WOW. Just beautiful. The colourful buildings, laid back vibe and minimal tourists. This place had officially topped my favourite travel destination. Again I hired a bike and rode all around the island, down every single little street that I could. I went sailing out into the Caribbean reefs and went snorkelling with marine fish, sharks and swam right next to massive turtles. It was just incredible. At the end of the days we would sit at the end of The Split at the Lazy Lizard Bar and jump off the jetty into the warm water until sunset. I did not want to leave this place, but ‘travelling is like flirting with life. It’s like saying, I would stay and love you but I have to go’ - Lisa St Aubin de Teran. I think you learn so much from travelling, about different people and walks of life. How lucky you really are and not to get so caught up in the seriousness and pressures of your own life. I learnt even more of an appreciation for nature and the beautiful planet we live on. And most of all I learnt more about how much I enjoy being in the company of myself and what makes me happy - the simple things. Go Slow.